Movies Anywhere is a movie locker to watch movies from a central place regardless if you bought the flick from Google Play, iTunes, or Amazon. Buying digital copies of movies online is a simple affair. However, watching those movies typically requires you to be in the same ecosystem you bought it from. The most obvious example would be iTunes. 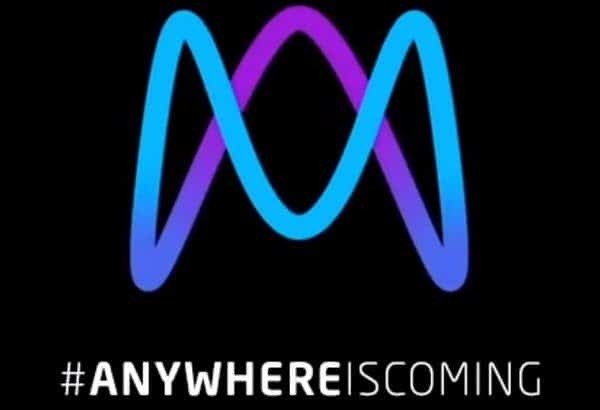 But now a bunch of big Hollywood studios has joined forces to create a new digital movie locker called Movies Anywhere. This would allow you to watch movies from a central app on virtually any platform regardless if you bought the flick from Google Play, iTunes, or Amazon. This new service has evolved from Disney Movies Anywhere, which lets you view your content across devices and platforms, but is limited to only Disney properties like Star Wars, Marvel, and Pixar. Movies Anywhere will include movies from major studios like 20th Century Fox, Universal, Sony Pictures, and Warner Brothers. Using the free Movies Anywhere app or website, you can access eligible movies by connecting your Movies Anywhere account with your iTunes, Google Play, Amazon Video, or Vudu accounts. The app works on most of the major platforms like Android, iOS, Windows, Roku, Chromecast, and it is browser-based, too. So, if you bought a movie on iTunes and wanted to watch it on Android, if the title on Movies Anywhere, you can. Initially, the Movies Anywhere library consists of just over 7,300 titles which mean not every movie you’ve bought will be available right away. But keep in mind that a lot more content will become available as new studios get onboard, like Paramount and Lionsgate, and as existing studios get comfortable with this service and make titles available. There is also a special promotion to help celebrate the launch. If you link two or more accounts to Movies Anywhere, you will get free copies of five different movies from each of the partnered studios. At the time of this writing, the site is still in a holding pattern with an animation and hashtag #AnywhereIsComing. But it should be live at some point today — hopefully by the time you’re reading this. This new service looks to replace the failed UltraViolet technology popularized by VUDU. It should help solve the problem of accessing your content across different services and devices. Let’s hope this works as advertised and the Hollywood studios don’t screw it up. Have you started using Movies Anywhere yet? Leave a comment below and let us know if you like it or not so much. Not sure how you define “failed technology” but UV is far from failed. It’s one of the top standards for digital content. Knowing Walmart as I do, I know they wouldn’t be involved in VUDU if it wasn’t profitable. Believe it or not, there is whole section of society that loathes Apple and their whole controlled ecosystem including the horribly invasive resource hog known as iTunes. As for Movies Anywhere, I signed up last night and connected my DMA, Google, and Amazon accounts. Looks promising but not entirely functional as of yet. VUDU integration shows as available on the site but doesn’t work yet. The Roku app is available but just shows coming soon when you open it. In case anyone wants to know, the free movies are Ghostbusters(2016), Jason Bourne, Ice Age, Big Hero 6, and The Lego Movie. I tried to register to Movies Anywhere’s site and it didn’t work. I live in Canada and my guess is in order to register, one has to be a citizen of the US. Am I right? Check the Terms of Service. U.S. and it’s territories only and a couple of small island nations are currently eligible. Exactly what I thought. Thanks. Yeah, I’m in Australia and had the same problem. It would be really really great if they would add a feature that let you insert a DVD into your computer and it would add it to the collection. I’ve got hundreds and it would be so much easier. I totally agree with you and I am in the same situation. I have lots of movies bought from iTunes and Google Play; it would be very nice to have an app like this where one can watch anyone of them without having to go to the provider’s site. In the same vein, I think that it should have been the first thing worth mentioning in this article that the offer is only available to citizens in the US. This way, one would know, right off the bat, not to waste time registering for an account.